Our accounts have always been prepared to the highest standard but what is exceptional is the service, your team are simply wonderful. No matter who you deal with you are guaranteed a warm and friendly, knowledgeable and competent response with proactive and efficient follow though. Thanks again to all of you for being absolutely brilliant; my favourite people to deal with every year. Please pass on my kind regards to the team – I’ve probably dealt with all of them over the last 10 years. Thank you for your efforts. Your service in the past few years is much appreciated. I’ll definitely recommend your firm to my friends who own homes in FL. Many thanks, the manner in which your whole organisation has handled my affairs is brilliant and a source of comfort to me. I would like to thank you and your colleagues for the excellent service you have provided to Gillian and myself during the last sixteen years. We have very much enjoyed Florida and look forward to returning in the future for a holiday. Many thanks for all your help over the years of our villa ownership. These will be our last returns following the sale of our property back in May last. Please pass on our thanks to everyone in Hardings who have assisted us over the years. Just wanted to send you a note of thanks for your input yesterday. Both Mrs. Cooper and I remarked how professional, knowledgeable and pleasant you were during the meeting. A real credit to your company and it fills us with confidence that we have made the correct choice in an organisation to handle our US tax affairs. I have no words to say how glad we are, because of your wonderful job. THANK YOU SO MUCH. Many thanks for your email and very efficient service, I really appreciate your professionalism. It has been a pleasure being one of your clients since 2008 and we have found your services professional, friendly and courteous at all times. We wish your business great success in the future. Many thanks for your continued professional and courteous service. Thank you for the great service that I have come to expect from your firm. Thank you so much, as ever for your prompt and courteous service. Having worked in service for 40 years I really appreciate the high level of service provided by you and your wonderful team. You have obviously created a work environment which encourages nice people to join you, motivated to provide such warm and friendly service. It was important for me to find the most appropriate company to use given that I reside 3000+ miles away. From recommendation and from the outset, Susan Harding herself has maintained an open approach with me, notwithstanding her team who have always been extremely helpful, courteous and professional. Many thanks for the quick response. As always you have been most efficient and professional in all aspects of my tax affairs. Can you pass on my thanks to Alan and all his team for the high professional standards throughout. As always, you guys have been great. I really feel the urge to write a testimonial about Harding and their wonderful service. I always believe in giving credit where credit is due! Thank you so much Sheila, as always the service provided is immaculate as usual, will now relax and enjoy the heatwave in sunny Spain and watch the World Cup with my boys. As your Orlando homes start to come to fruition, you will require assistance to navigate the US tax system to your benefit. We have used Harding Bell International, based in Kissimmee since we bought our house. They come highly recommended. Please feel under no obligation, but I always find a personal recommendation is better than cold calling. Harding Bell work on behalf of many non US resident villa owners so understand completely what is needed. We remarked how professional, knowledgeable and pleasant you were during the meeting. A real credit to your company and it fills us with confidence that we have made the correct choice in an organisation to handle our US tax affairs. Thank you for helping me understand the US tax system, I couldn’t have done it without your company’s help. We appreciate the great service that was provided. I will forward your information to other people I know. We wish to thank you and your team for the quick completion of our income tax returns. Your service and support has been nothing less than exemplary. We would like to take this time to say “thank you” to the whole team at Harding Bell for the help & assistance which you have given us over the past 12 years in preparing & filing our tax returns. 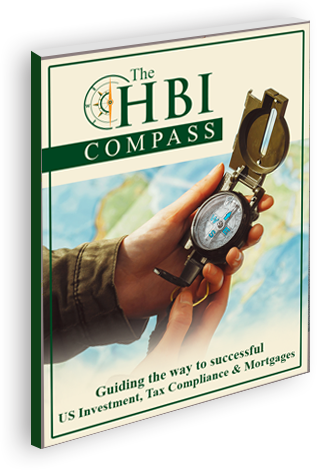 We are very thankful to HBI for providing our tax returns in such a timely manner! We were so impressed with your services that we recommended your company to our property manager for her other oversees clients. This was our final tax year and I would like to thank you for your friendly, courteous and efficient service over the past six years. If, in future, we do any business in the US we will be sure to seek your services.